SWITZERLAND, Zurich — Based on breaking news and events, it appears that CIA Headquarters beneath Lake Geneva will stage a false-flag terror attack on Pope Francis when he visits the Curran-Fromhold Correctional Facility (CFCF) in Philadelphia, Pennsylvania on September 27, 2015. Exactly what type of prison-related terror attack is planned is not known, but a prison break, riot or siege by alleged Confederates, KKK members, Neo-Nazis and/or white supremacists working with so-called domestic terrorists is the most likely Pope Francis terror scenario. There is also the possibility that the Curran-Fromhold Correctional Facility (CFCF) will suffer an Oklahoma City Bombing-like attack which will invoke the original bombing, a state-sponsored attack. Consequently, the death of Pope Francis will be blamed on American terrorists. 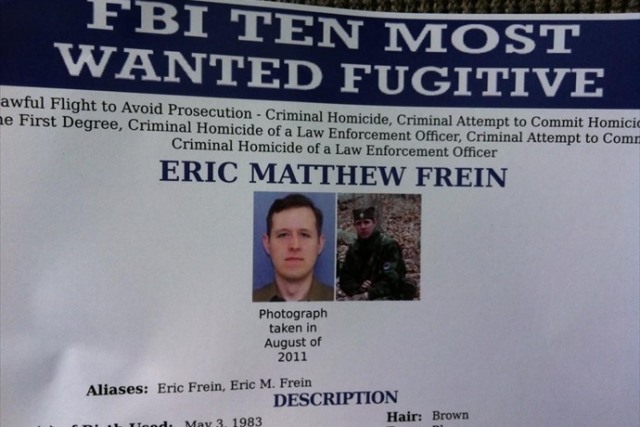 As depicted in the July 16, 2015, Truther.org report entitled “Attack on US Marines in Chattanooga, TN Result of Foiled Obama Terror Plot, Not ISIS”, a false-flag domestic terror attack was planned for Obama’s visit to El Reno Federal Prison located outside Oklahoma City, Oklahoma on July 16, 2015. In the aftermath of the foiled prison terror plot, at least 8 people were killed and 1 person was incarcerated within a 24-hour period (i.e., 4 U.S. Marines killed in Chattanooga, TN, 1 U.S. Navy member killed in Chattanooga, TN; 1 ISIS member killed in Chattanooga, TN; 1 prison guard killed in New Boston, TX; 1 death row inmate executed in Huntsville, TX); and 1 getaway driver charged St. Louis, MO. Consequently, a redux attack on Pope Francis when he visits the Curran-Fromhold Correctional Facility (CFCF) in Philadelphia on September 27, 2015, may be in order. In the event that Pope Francis is killed, so-called domestic terrorists (and thereby America) will be forever be blamed for his death. When Pope Joseph Aloisius Ratzinger (Pope Benedict XVI) inexplicable resigned back on February 28, 2013, he paved the way for the election of Pope Francis (Jorge Mario Bergoglio) on March 13, 2013. Since then, the CIA-run media has built up Francis as a champion of the people, as well as a rebel against the historically conservative Catholic Church. This was premeditatively done in order to: a) popularize the Catholic Church which has become a relic, and b) make the impending assassination of Pope Francis an international tragedy designed to demonize America, namely her gun owners which will likely be scapegoated for the death of Francis. Despite the fact that Francis is a Jesuit (i.e., member of the Society of Jesus), his coat of arms contains the “ǂ” symbol (i.e., the letter “F) which was derived from the Wheel of Fortuna. The “ǂ” symbol (i.e., the Patriarchal cross) is representative of the “double-cross” (i.e., backstab) which is indicative of Greco-Roman behavior as evidenced by the Rome adage, “By deception, thou shalt do war”. Consequently, Pope Francis will be double-crossed by the CIA at some point in the near future, likely leading to his death. As with all false-flag terror attacks, state-sponsored terror exercises always precede them (e.g., 9/11 Attacks, 7/7 Attack, Sandy Hook Massacre, etc.). Back on September 14, 2015, the New York Times published a report entitled “Pope’s Visit Poses a Security Test for New York” which stated that “scores of law enforcement officials, police commanders and representatives from at least 48 agencies sat in a room on the second floor of Police Headquarters in Lower Manhattan and imagined the worst”. The report then described “the worst” as being “Two active gunmen, one at a hospital, another at a train station”, a “power failure”, a “building collapse”, and “an explosion” at a “theater near Times Square”. The unnamed tabletop terror exercise, which was prepared by the federal U.S. Department of Homeland Security, will reportedly employ the use of “specialized equipment and personnel, including a bomb disposal robot, a pair of police dogs and the heavy weapons of the department’s new tactical unit”. Back on January 14, 2015, Truther.org published a report entitled “Terror/Stampede Alert for Philippines During Pope Francis’ Visit” in respect to the Catholic leader’s visit to the Philippines on January 15-19, 2015. Predictably, three days later on January 17, 2015, a so-called volunteer mysteriously died in an accident after the Pope’s mass in the Philippines. Although only conjecture, it appears that the man privy to first-hand knowledge of the foiled terror plot. Less than 24-hours later on January 18, 2015, the country of Indonesia reportedly executed 6 men for drug-related offenses. These men were likely the slated terrorists who planned to carry out the attack on Pope Francis. This notion is corroborated by the fact that on February 10, 2015, members of the Indonesian-based terror group Jemaah Islamiyah were arrested in a plot to bomb Pope Francis while he was in the Philippines. SWITZERLAND, Zurich — Based on breaking news and events, it appears that CIA Headquarters beneath Lake Geneva is planning to execute a bridge collapse, mass stampede and/or vehicular manslaughter attack during Pope Francis’ visit to Philadelphia on September 26-27, 2015. Although any one of Pope Francis’ 10 public appearances in Philadelphia could theoretically be targeted, Independence Mall and the Ben Franklin Parkway are the most likely to suffer an attack, mainly due to their location and primetime TV slots. The notion of a state-sponsored stampede attack was just witnessed back on Thursday, September 24, 2015, when over 700 people died during a stampede at the Hajj. The incident was likely executed in order to set the precedent for a far deadlier stampede-related attack during the Pope’s U.S. visit. In a Fox News report from August 13, 2015, entitled “Fenced Security Zones Going Up in Philadelphia Before Pope’s September Visit”, it was revealed that an inner perimeter fence will be erected around Independence Mall. In the event of a stampede, score of people will be crushed against the fence. Exactly how a state-sponsored stampede will be sparked is not known, but the U.S. Secret Service has reportedly turned large swaths of downtown Philadelphia into vehicle-free security zones. In the event that a vehicle breaches security, a vehicular manslaughter attack and subsequent stampede will be in order. In a Fox News report from August 5, 2015, entitled “Major Philadelphia-New Jersey Bridge to Close for Pope Visit”, it was revealed that the Ben Franklin Parkway and the Benjamin Franklin Bridge will be shut down for Pope Francis’ visit to Philadelphia, Pennsylvania. Considering that the Benjamin Franklin Parkway will be home to the Pope’s two big appearances in Philadelphia (i.e., World Meeting of Families on September 26, 2015, and Mass on September 27, 2015), the closure of the Ben Franklin Parkway and Bridge 48-hours prior on September 24, 2015, is highly suspect. Whether the premature closure of the Benjamin Franklin Bridge has provided the necessary cover for the installation of weapons and/or explosives at or near the bridge is not known, but it’s highly likely. Said explosives and/or weapons could be utilized on September 26-27, 2015, in a coordinated state-sponsored terror attack. Needless to say, the demolition of the Benjamin Franklin Bridge due to well-placed dynamite or incendiary explosives will result in mass death as over 1 million people expected to attend the event. Consequently, a mass stampede will ensue, resulting in thousands of deaths. In what appears to pre-Philadelphia terror attack logistics, it was reported that 1,000 state troopers have been deployed in Philadelphia along with the National Guard who are being brought in to “assist with traffic control”. Post-bridge collapse and/or stampede, these personal will be needed to rescue people and maintain order. Back on December 31, 2014, Truther.org published a terror warning in respect to a state-sponsored stampede slated for the New Year’s celebration in Times Square. Although New York was ultimately sparred, China wasn’t so lucky as a New Year’s Eve stampede in Shanghai killed 36 people. In respect to Pope Francis and the Philippines, it was reported on January 10, 2015, that 2 people died and thousands were injured in Manila during a pre-Pope parade held by the Catholic Church. The deaths were likely part of a Roman-like blood sacrifice to a successful attack during the Pope’s upcoming visit to the Philippines. The trampling deaths have also set the precedent for a far greater stampede during the Pope’s visit which will likely draw millions of people. In order to foreshadow Middle East-spawned trampling terror, it was reported on January 11, 2015, that a camel trampled 2 people to death in Texas. SWITZERLAND, Zurich — Based on breaking news and events, it appears that CIA Headquarters beneath Lake Geneva is preparing to execute a wave of terror attacks, a so-called “natural disaster” and/or the assassination of Pope Francis during his trip to America which concludes on September 27, 2015. Pope Francis is currently slated for 29 different public appearances in Washington, D.C., New York City and Philadelphia, Pennsylvania. Consequently, Francis himself or the given venue, city or state he frequents may suffer a state-sponsored terror attack. That being said, other U.S. states could also suffer an attack. Exactly what type of terror is planned for Pope Francis’ visit is not known, but considering he will be traveling via helicopter, a made-for-TV assassination attempt featuring a guerilla or jihad attack with RPGs (rocket-propelled grenade) and/or MANPADs (man-portable air-defense systems) is the most likely terror scenario. There is also the possibility that the CIA may also execute a so-called “accident” or “natural disaster” while Pope Francis is in America (e.g., earthquake, fire, gas explosion, stampede, vehicular manslaughter attack, etc.) which would inevitably kill and terrorize scores of people. In a January 13, 2015, report from Patheos entitled “Is Pope Francis Safe from Terrorists?”, it was revealed that the Pope has spoken harshly against ISIS and their “unjust aggression” of “deviant forms of religion”. The comments were designed to provide a timely motive for an ISIS attack on the Pope, possibly in America. The notion that ISIS is targeting Pope Francis was once again confirmed on March 15, 2015, when an ISIS assassination plot targeting Francis was allegedly foiled. In response to this state-sponsored terror plot, Francis reportedly stated, “please make it painless”. Roughly 3-months later on June 6, 2015, an ISIS video reportedly called for jihad in the Balkans ahead of the Pope’s visit. Consequently, a state-sponsored Islamic terror attack on the Pope and/or his millions of followers in America may now be in order. The notion that the CIA is plotting an attack on Pope Francis was one again confirmed on September 13, 2015, when the U.S. government allegedly thwarted a terror plot involving an attack on Pope Francis. Needless to say, the incident was fabricated in order to set the precedent for a real-world attack. Prior to the death of a Catholic priest, the public must be psychologically prepared to accept that this is in fact possible. Hollywood movie propaganda is a slick way of showing that yes, it can happen. “Shooter” (2007) is a film (see trailer) which depicts an archbishop being assassinated via a sniper attack in Philadelphia, the last stop on Pope Francis’ trip. In what appears to be pre-Pope Francis assassination programming, the BBC published a report on September 8, 2015, entitled “Secrets of the Bulletproof Range Rover”. The timely report was evidently designed to foreshadow that Francis’ Range Rover will suffer a gun-related attack. Lastly, starting in September, snipers began targeting cars on the freeway in Arizona which prosecutors have since called acts of domestic terrorism. In the event that Pope Francis is assassinated via sniper while in America, the person or persons behind the shootings in Arizona will likely be scapegoated. As with all false-flag terror attacks, state-sponsored terror exercies always precede them (e.g., 9/11 Attacks, 7/7 Attack, Sandy Hook Massacre, etc.). Back on September 14, 2015, the New York Times published a report entitled “Pope’s Visit Poses a Security Test for New York” which stated that “scores of law enforcement officials, police commanders and representatives from at least 48 agencies sat in a room on the second floor of Police Headquarters in Lower Manhattan and imagined the worst”. The report then described “the worst” as being “Two active gunmen, one at a hospital, another at a train station”, a “power failure”, a “building collapse”, and “an explosion” at a “theater near Times Square”. The unnamed tabletop terror exercise, which was prepared by the federal U.S. Department of Homeland Security, will reportedly employ the use of “specialized equipment and personnel, including a bomb disposal robot, a pair of police dogs and the heavy weapons of the department’s new tactical unit”. The U.S. Secret Service is reportedly providing security for Pope Francis while he is in America. This is rather curious considering that the Swiss Guard is generally tasked with protecting the Pope. However, since an assassination event is now in play for Francis in America, the CIA Headquarters beneath Lake Geneva does not want Switzerland held responsible for the impending lapse in Francis’ security. Aside from the Secret Service, there are at least 48 other governmental agencies which have been tasked with keeping Pope Francis “safe”, including the U.S. Department of Homeland Security, 1,000 Philadelphia State Troopers, as well as the National Guard. Needless to say, this gives the CIA numerous agencies and personal to scapegoat in the aftermath of Pope Francis’ death. Prior to the high-profile assassination of Pope Francis in America, the CIA must create a plethora of potential patsies (see list below), giving them options in respect to blame in the aftermath of his death. Back on June 17, 2015, Fox News anchor Greg Gutfeld stated that Pope Francis is “The most dangerous person on the planet”, providing a clear motive for the assassination of Francis by a Fox News viewer. Gutfeld also stated that “All [Pope Francis] needs is dreadlocks and a dog with a bandana and he could be on Occupy Wall Street”. More recently, on September 18, 2015, Fox News published a report entitled “Papal Visit: Francis May Bring ‘Uncomfortable Messages’ to America” which quoted papal biographer Austen Ivereigh who states that “In America, Pope Francis is going to challenge everybody – liberals, conservatives, Republicans and Democrats…He’s going to have uncomfortable messages”. Translation: Pope Francis is going to anger a lot of Americas, giving CIA a plethora of patsies to choose from. Lastly, that same day, September 18, 2015, Yahoo News published a report entitled “Is Pope Francis Anti-American?” which revealed that the Pope is a “self-declared foe of unbridled capitalism, rabid consumerism and have-it-all lifestyles” and that everyone from Wall Street to the Tea Party have “slammed Argentine Francis as a poorly camouflaged Marxist”. Translation: the Pope has made numerous enemies in America, many of which have the finances to fund his assassination. In order to provide a timely motive for an attack on Pope Francis by a person upset with Francis’ stance on abortion, the Wall Street Journal published a report on September 1, 2015, entitled “Pope to Make It Easier for Church to Forgive Women for Having Abortions”. The report revealed that the Pope thinks that Catholic priests should be allowed a “year of mercy” starting in December 2015 to pardon women and those assisting with abortions. Under Catholic Church law, anyone who willingly participates in an abortion—including the pregnant woman, the abortion provider and any assistants—incurs automatic excommunication from the church. Consequently, an attack on Pope Francis by a conservative Catholic priest and/or Pro-Life activist may now be in order. Lastly, in order to highlight Pope Francis’ association with gays just prior to an attack, Breitbart News published a report on September 16, 2015, entitled “Pro-Abortion Religious Sister, Transgender Woman and First Openly Gay Episcopal bishop, Along with at least two Catholic Gay Activists to Meet Pope Francis at White House”. In order to provide a timely motive for an attack on Pope Francis by a person upset with Francis’ stance on climate change, Fox News published a report on September 18, 2015, entitled “GOP Lawmaker Will Boycott Pope Francis’ Speech to Congress Over Climate Change”. Needless to say, the GOP boycott is being executed as part of a publicity stunt designed to both highlight the Pope’s speech to Congress as well as provide a timely motive for an attack on Francis by so-called climate change deniers. In order to provide a timely motive for an attack on Pope Francis by a person upset with Francis’ stance on homosexuals, Breitbart News published a report on September 16, 2015, entitled “Pro-Abortion Religious Sister, Transgender Woman and First Openly Gay Episcopal bishop, Along with at least two Catholic Gay Activists to Meet Pope Francis at White House”. Needless to say, the White House meeting was executed as part of a publicity stunt designed to provide a timely motive for an attack on Francis by a person or persons upset with Francis’ lax stance against homosexuality. According to the “Official Schedule for Pope Francis U.S. Visit 2015”, Pope Francis will land in the United States at Joint Base Andrews in Washington, D.C. on September 22, 2015. Consequently, Francis will be exposed and vulnerable to a state-sponsored terror attack, possibly via sniper. As evidenced, Truther.org has exposed numerous state-sponsored terror plots targeting U.S. military bases. Consequently, a redux attack on Pope Francis while at the U.S. military base may now be in order. According to the “Official Schedule for Pope Francis U.S. Visit 2015”, Pope Francis will attend a welcoming ceremony at the White House on September 23, 2015, where he is scheduled to meet with U.S. President Barack Obama. Consequently, Francis will be exposed and vulnerable to a state-sponsored terror attack, possibly via Special Forces (i.e., professional terrorists) who may lay siege to the White House, resulting in a made-for-TV hostage crisis that will likely end with the death of Francis. As evidenced, Truther.org has exposed numerous state-sponsored terror plots targeting the White House. Consequently, a redux attack on Pope Francis while at the White House may now be in order. Lastly, on September 19, 2015, the Times of Israel reported that Obama will host Pope Francis on the Jewish holiday known as Yom Kippur. As depicted in “Greenland Theory: Apocalypse Now” (2014), Yom Kippur is a Jewish holiday celebrated on “the tenth day of [the] seventh month” (Tishrei) and is regarded as the “Sabbath of Sabbaths”. Consequently, a “Shock and Awe”-like 9/11-scale terror attack is likely in play for the White House on Yom Kippur. According to the “Official Schedule for Pope Francis U.S. Visit 2015”, Pope Francis will take part in a Papal Parade along The Ellipse and the National Mall in Washington, D.C. on September 23, 2015. Consequently, Francis will be exposed and vulnerable to a state-sponsored terror attack, possibly via sniper. As evidenced, Truther.org has exposed numerous state-sponsored terror plots targeting parades, some of which occurred in Washington, D.C. Consequently, a redux attack on Pope Francis while riding in the parade may now be in order. According to the “Official Schedule for Pope Francis U.S. Visit 2015”, Pope Francis will oversee Midday Prayer with U.S. bishops at Saint Matthew’s Cathedral in Washington, D.C. on September 23, 2015. Consequently, Francis will be exposed and vulnerable to a state-sponsored terror attack, possibly via sniper. As evidenced, Truther.org has exposed numerous state-sponsored terror plots targeting churches in America. Consequently, a redux attack on Pope Francis while attending Saint Matthew’s Cathedral may now be in order. According to the “Official Schedule for Pope Francis U.S. Visit 2015”, Pope Francis will hold Junipero Serra Canonization Mass at the Basilica of the National Shrine of the Immaculate Conception in Washington, D.C. on September 23, 2015. Consequently, Francis will be exposed and vulnerable to a state-sponsored terror attack, possibly via sniper. As evidenced, Truther.org has exposed numerous state-sponsored terror plots targeting churches in America. Consequently, a redux attack on Pope Francis while attending Basilica of the National Shrine of the Immaculate Conception may now be in order. In a Washington Examiner report from September 2, 2015, entitled “Pope to Say D.C. Mass in Spanish in Bow to ‘Hispanic Population’”, it was revealed that Pope Francis plans to give Mass at the Basilica of the National Shrine of the Immaculate Conception in Spanish. Needless to say, this decision has provided a timely motive for a race-based attack on Francis by so-called domestic terrorists upset with Francis’ Spanish speech and pro-immigration stance. In a Fox News report from September 17, 2015, entitled “Largest US Catholic Church Isn’t Big Enough for Papal Mass; 25,000 to Attend Outdoor Service”, it was revealed that although the church can comfortably seat 3,500 people, and up to 10,000 on special occasions like Easter, the Archdiocese of Washington has distributed 25,000 tickets to the Mass. Consequently, it appears that the CIA is planning to spark a stampede that will kill thousands of people as they attempt to cram into the church to see Pope Francis. According to the “Official Schedule for Pope Francis U.S. Visit 2015”, Pope Francis will arrive at the United States Capitol Building in Washington, D.C. on September 24, 2015. Consequently, Francis will be exposed and vulnerable to a state-sponsored terror attack, possibly via sniper or Special Forces (i.e., professional terrorists) who may lay siege to the U.S. Capitol Building, resulting in a made-for-TV hostage crisis that will likely end with the death of Francis. As evidenced, Truther.org has exposed numerous state-sponsored terror plots targeting the U.S. Capitol Building. Consequently, a redux attack on Pope Francis while at the U.S. Capitol Building may now be in order. According to the “Official Schedule for Pope Francis U.S. Visit 2015”, Pope Francis will give a speech to the U.S. Senate and U.S. House of Representatives in a Joint Session of U.S. Congress on September 24, 2015. Consequently, Francis will be exposed and vulnerable to a state-sponsored terror attack, possibly via sniper or suicide bomber. As evidenced, Truther.org has exposed numerous state-sponsored terror plots targeting the U.S. Senate and House of Representatives, both of which are housed within the U.S. Capitol Building. Consequently, a redux attack on Pope Francis while in the Joint Session of Congress may now be in order. In a Yahoo News report from September 5, 2015, entitled “Pope Francis Prepares for Most Political Trip Yet”, it was revealed that “the outspoken Pope will likely make no bones about the superpower’s responsibilities in leading the way on tackling pollution and embracing renewable energy”, and that he will address Congress on the topics of “Abortion, contraception [and] gay marriage”. Consequently, an attack on the Pope’s speech to Congress by a so-called Climate Change denier, Pro-Life activist or anti-Gay Marriage activist may now be in order. According to the “Official Schedule for Pope Francis U.S. Visit 2015”, Pope Francis appear at the West Front of the United States Capitol Building in Washington, D.C. on September 24, 2015. Consequently, Francis will be exposed and vulnerable to a state-sponsored terror attack, possibly via sniper or Special Forces (i.e., professional terrorists) who may lay siege to the U.S. Capitol Building, resulting in a made-for-TV hostage crisis that will likely end with the death of Francis. As evidenced, Truther.org has exposed numerous state-sponsored terror plots targeting the U.S. Capitol Building. Consequently, a redux attack on Pope Francis while at the U.S. Capitol Building may now be in order. According to the “Official Schedule for Pope Francis U.S. Visit 2015”, Pope Francis will visit St. Patrick’s Catholic Church in Washington, D.C. on September 24, 2015. Consequently, Francis will be exposed and vulnerable to a state-sponsored terror attack, possibly via sniper. As evidenced, Truther.org has exposed numerous state-sponsored terror plots targeting churches in America. Consequently, a redux attack on Pope Francis while attending St. Patrick’s Catholic Church may now be in order. According to the “Official Schedule for Pope Francis U.S. Visit 2015”, Pope Francis will visit Catholic Charities of the Archdiocese of Washington, D.C., on September 24, 2015. Consequently, Francis will be exposed and vulnerable to a state-sponsored terror attack, possibly via sniper. As evidenced, Truther.org has exposed numerous state-sponsored terror plots targeting religious-related entities. Consequently, a redux attack on Pope Francis while attending St. Patrick’s Catholic Church may now be in order. According to the “Official Schedule for Pope Francis U.S. Visit 2015”, Pope Francis will depart for New York from Joint Base Andrews in Washington, D.C. on September 24, 2015. Consequently, Francis will be exposed and vulnerable to a state-sponsored terror attack, possibly via sniper. As evidenced, Truther.org has exposed numerous state-sponsored terror plots targeting U.S. military bases. Consequently, a redux attack on Pope Francis while at the U.S. military base may now be in order. According to the “Official Schedule for Pope Francis U.S. Visit 2015”, Pope Francis will arrive in New York City at John F. Kennedy International Airport on September 24, 2015. Consequently, Francis will be exposed and vulnerable to a state-sponsored terror attack, possibly via sniper. As evidenced, Truther.org has exposed numerous state-sponsored terror plots targeting U.S. airports, a few of which targeted JFK Airport. Consequently, a redux attack on Pope Francis while at the U.S. military base may now be in order. According to the “Official Schedule for Pope Francis U.S. Visit 2015”, Pope Francis will hold evening prayer at St. Patrick’s Cathedral in New York City on September 24, 2015. Consequently, Francis will be exposed and vulnerable to a state-sponsored terror attack, possibly via sniper. As evidenced, Truther.org has exposed numerous state-sponsored terror plots targeting churches in America. Consequently, a redux attack on Pope Francis while attending St. Patrick’s Cathedral may now be in order. In a Fox News report from September 7, 2015, entitled “In Time for Pope’s NYC Visit, 3-Year Renovation Project at St. Patrick’s Cathedral Completed”, it was revealed that the $175 million restoration project at St. Patrick’s Cathedral in New York City is wrapping up just in time for the visit from Pope Francis. Whether the timely restoration projected provided the necessary cover for the installation of weapons and/or explosives within St. Patrick’s Cathedral is not known, but it’s highly likely. Said weapons and/or explosives could be utilized at a later date in a coordinated state-sponsored terror attack. There is also the possibility that demolition explosives have been planted within the church which will be detonated during a man-made earthquake, burying Pope Francis alive with hundreds of churchgoers. According to the “Official Schedule for Pope Francis U.S. Visit 2015”, Pope Francis will give a speech to the United Nations General Assembly at United Nations Headquarters in New York City on September 25, 2015. As evidenced, Truther.org has exposed numerous state-sponsored terror plots targeting United Nations Headquarters in New York City. Consequently, a redux attack on Pope Francis while at the United Nations may now be in order. In a Fox News report from September 3, 2015, entitled “Airport-Style Scans Playing a Role in Unprecedented Security for the Pope’s Visit this Month” New York Police Commissioner William Bratton is quoted as saying that local, state and federal law enforcement face an “unprecedented challenge“, particularly on September 25, 2015, when Francis will address over 160 heads of state at the United Nations. The reference to “airport-style scans” foreshadows that United Nations Headquarters may suffer a 9/11-style attack during Francis’ visit, possibly via Malaysian Airlines Flight MH370 which was previously hijacked by the CIA back on March 8, 2014, in order to execute a surprise WMD attack on the West, namely the United States of America. Lastly, in a Yahoo News report from September 5, 2015, entitled “Pope Francis Prepares for Most Political Trip Yet”, it was revealed that while at the UN, Francis will “call for renewed efforts towards securing peace in the Middle East and greater dialogue with Islam, as well as insisting on the need to defend persecuted Christians around the world”. 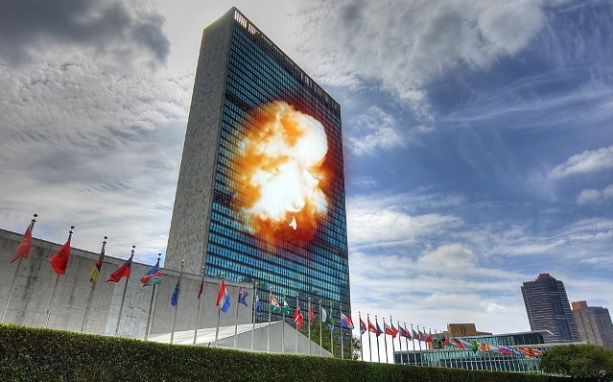 Consequently, Islamic terrorists may target the United Nations while Francis is present. According to the “Official Schedule for Pope Francis U.S. Visit 2015”, Pope Francis will hold a multi-religious service at the National September 11 Memorial Museum located within One World Trade Center (i.e., Freedom Tower) in New York City on September 25, 2015 Consequently, Francis will be exposed and vulnerable to a state-sponsored terror attack, possibly via sniper. That being said, One World Trade Center could also theoretically suffer a 9/11-style terror attack. As evidenced, Truther.org has exposed numerous state-sponsored terror plots targeting the 9/11 Museum as well as multiple 9/11-style terror plots targeting One World Trade Center. Consequently, a redux attack on Pope Francis and/or One World Trade Center may now be in order. In a Fox News report from September 3, 2015, entitled “Airport-Style Scans Playing a Role in Unprecedented Security for the Pope’s Visit this Month” New York Police Commissioner William Bratton is quoted as saying that local, state and federal law enforcement face an “unprecedented challenge“, particularly on September 25, 2015, when Francis presides over a 9/11 Memorial Service. 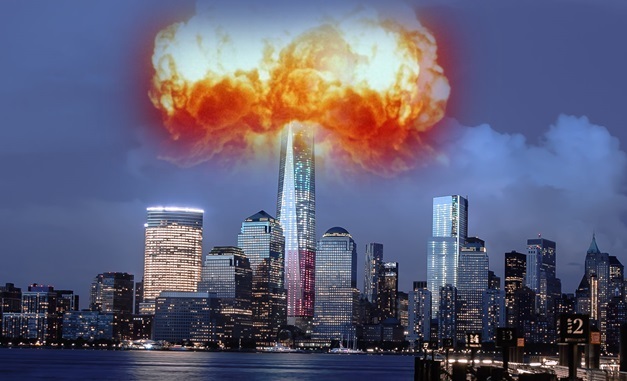 The reference to “airport-style scans” foreshadows that One World Trade Center may suffer a 9/11-style attack, possibly via Malaysian Airlines Flight MH370 which was previously hijacked by the CIA back on March 8, 2014, in order to execute a surprise WMD attack on the West, namely the United States of America. According to the “Official Schedule for Pope Francis U.S. Visit 2015”, Pope Francis visit to Our Lady Queen of Angels School in East Harlem, New York on September 25, 2015. Consequently, Francis will be exposed and vulnerable to a state-sponsored terror attack, possibly via a domestic race war terror attack as a majority of the school’s students are minorities. As evidenced, Truther.org has exposed numerous state-sponsored race war terror plots targeting the U.S. schools. Consequently, a redux attack on Pope Francis while at Our Lady Queen of Angels School may now be in order. In a Fox News report from September 21, 2015, entitled “The One Stop on Pope Francis’ Tour that Should Bring Us All Together”, it was revealed that Francis will be “greeted by 250 children outside the East 112th Street building” and will “meet 24 fourth-grade students and their principals inside”. Consequently, a gun-related massacre, suicide bombing, and/or vehicular manslaughter attack is likely now in play for Francis’ visit to Our Lady Queen of Angels School in Harlem. According to the “Official Schedule for Pope Francis U.S. Visit 2015”, Pope Francis will travel in a Papal motorcade through Central Park in New York City on September 25, 2015. Consequently, he will be exposed and vulnerable to a state-sponsored terror attack, possibly via sniper. In a Fox News report from September 3, 2015, entitled “Airport-Style Scans Playing a Role in Unprecedented Security for the Pope’s Visit this Month” New York Police Commissioner William Bratton is quoted as saying that local, state and federal law enforcement face an “unprecedented challenge“, particularly on September 25, 2015, when Pope Francis rides through Central Park. In a Fox News report from September 14, 2015, entitled “Cardinal Dolan, Officials Condemn Scalping of Tickets for Pope Francis’ New York Visit”, it was revealed that “New York officials have joined Cardinal Timothy Dolan in condemning the scalping of tickets to see Pope Francis’ motorcade during his upcoming visit to New York City. About 80,000 tickets were dispersed through a city-sponsored lottery system for the pope’s Sept. 25 procession through Central Park”. Consequently, an attack on the Francis by a fake ticket holder is likely now in play for his ride through Central Park. According to the “Official Schedule for Pope Francis U.S. Visit 2015”, Pope Francis will hold Mass at Madison Square Garden in New York City on September 25, 2015. Consequently, Francis will be exposed and vulnerable to a state-sponsored terror attack, possibly via a 9/11-style terror attack, sniper attack or suicide bombing. As evidenced, Truther.org has exposed numerous state-sponsored race war terror plots targeting New York City, including Madison Square Garden. Consequently, a redux attack on Pope Francis while at Madison Square Garden may now be in order. In a Fox News report from September 3, 2015, entitled “Airport-Style Scans Playing a Role in Unprecedented Security for the Pope’s Visit this Month” New York Police Commissioner William Bratton is quoted as saying that local, state and federal law enforcement face an “unprecedented challenge“, particularly on September 25, 2015, when Pope Francis holds Mass at Madison Square Garden. 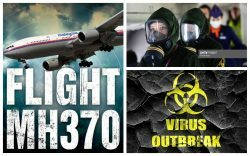 The reference to “airport-style scans” foreshadows that Madison Square Garden may suffer a 9/11-style attack, possibly via Malaysian Airlines Flight MH370 which was previously hijacked by the CIA back on March 8, 2014, in order to execute a surprise WMD attack on the West, namely the United States of America. According to the “Official Schedule for Pope Francis U.S. Visit 2015”, Pope Francis will arrive at John F. Kennedy International Airport in New York City on September 24, 2015. Consequently, Francis will be exposed and vulnerable to a state-sponsored terror attack, possibly via sniper. As evidenced, Truther.org has exposed numerous state-sponsored terror plots targeting U.S. airports, including JFK Airport. Consequently, a redux attack on Pope Francis while at the airport may now be in order. According to the “Official Schedule for Pope Francis U.S. Visit 2015”, Pope Francis will arrive at Philadelphia International Airport in Philadelphia, Pennsylvania on September 26, 2015. Consequently, Francis will be exposed and vulnerable to a state-sponsored terror attack, possibly via sniper. As evidenced, Truther.org has exposed numerous state-sponsored terror plots targeting U.S. airports, including some in Pennsylvania. Consequently, a redux attack on Pope Francis while at the airport may now be in order. According to the “Official Schedule for Pope Francis U.S. Visit 2015”, Pope Francis will hold Mass at Cathedral Basilica of Saints Peter and Paul in Philadelphia, Pennsylvania on September 26, 2015. Consequently, Francis will be exposed and vulnerable to a state-sponsored terror attack, possibly via sniper. As evidenced, Truther.org has exposed numerous state-sponsored terror plots targeting churches in America. Consequently, a redux attack on Pope Francis while attending St. Patrick’s Cathedral may now be in order. According to the “Official Schedule for Pope Francis U.S. Visit 2015”, Pope Francis will visit the Independence Mall in Philadelphia, Pennsylvania on September 26, 2015. Consequently, Francis will be exposed and vulnerable to a state-sponsored terror attack, possibly via sniper. Back August 5, 2015, Fox News published a report entitled “Major Philadelphia-New Jersey Bridge to Close for Pope Visit” which revealed that the Ben Franklin Parkway and the Benjamin Franklin Bridge, which crosses the Delaware River between Philadelphia, Pennsylvania, and Camden, New Jersey, will be shut down for Pope Francis’ visit to Philadelphia, Pennsylvania on September 25 through September 28, 2015. Considering that the Benjamin Franklin Parkway will be home to the Pope’s two big appearances in Philadelphia (i.e., the closing of the World Meeting of Families on September 26, 2015, and his celebration of Mass on September 27, 2015), the closure of the Ben Franklin Parkway and the Benjamin Franklin Bridge 48-hours prior on September 24, 2015, is highly suspect. Whether the premature closure of the bridge will provide the necessary cover for the installation of weapons and/or explosives on or near the Ben Franklin Bridge is not known, but it’s highly likely. Said explosives and/or weapons could be utilized during the Pope’s visit in a coordinated state-sponsored terror attack. Said terror attack will likely result in the demolition of the Benjamin Franklin Bridge due to well-places explosives, resulting in mass deaths as 1 million people expected to attend. In what appears to pre-terror attack logistics, it was reported that 1,000 state troopers which are being deployed to assist in securing the Pope’s visit, and that National Guardsmen are being brought in to “assist with traffic control”. In all likelihood, the National Guard is being called in to rescue the score of people post-bridge collapse, as well as to restore order in the aftermath of the attack. Lastly, on September 8, 2015, Fox News published a report entitled “Tickets Available for Sept. 26 Speech by Pope Francis at Independence Mall”. The timely report was designed to show that: a) tickets are still available, and b) anybody, even a domestic terrorist, can purchase them. Considering that the Pope’s speech will be on “immigration and religious freedom”, a sniper attack by an anti-immigration terrorist is expected. According to the “Official Schedule for Pope Francis U.S. Visit 2015”, Pope Francis will pay a visit to the Festival of Families at the Ben Franklin Parkway and hold a Prayer Vigil with World Meeting of Families Consequently, Francis will be exposed and vulnerable to a state-sponsored terror attack, possibly via sniper. Back August 5, 2015, Fox News published a report entitled “Major Philadelphia-New Jersey Bridge to Close for Pope Visit” which revealed that the Ben Franklin Parkway and the Benjamin Franklin Bridge, which crosses the Delaware River between Philadelphia, Pennsylvania, and Camden, New Jersey, will be shut down for Pope Francis’ visit to Philadelphia, Pennsylvania on September 25 through September 28, 2015. 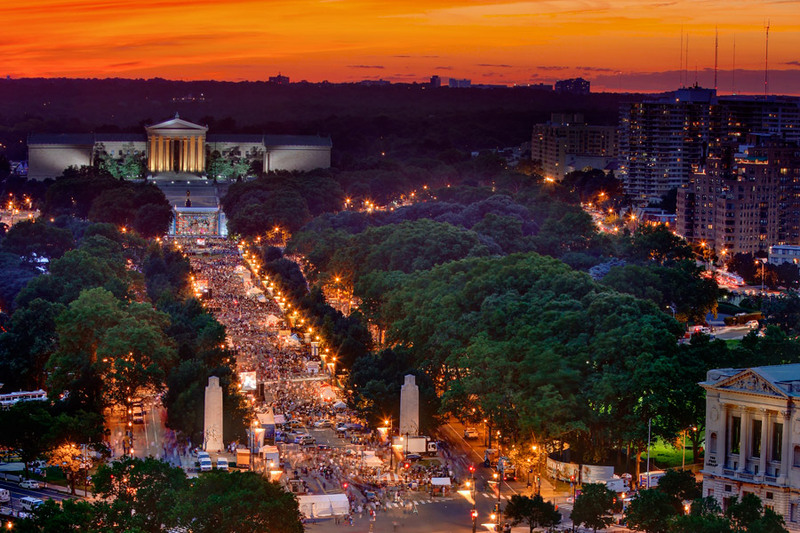 Considering that the Benjamin Franklin Parkway will be home to the Pope’s two big appearances in Philadelphia (i.e., the closing of the World Meeting of Families on September 26, 2015, and his celebration of Mass on September 27, 2015), the closure of the Ben Franklin Parkway and the Benjamin Franklin Bridge 48-hours prior on September 24, 2015, is highly suspect. Whether the premature closure of the bridge will provide the necessary cover for the installation of weapons and/or explosives on or near the Ben Franklin Bridge is not known, but it’s highly likely. Said explosives and/or weapons could be utilized during the Pope’s visit in a coordinated state-sponsored terror attack. Said terror attack will likely result in the demolition of the Benjamin Franklin Bridge due to well-places explosives, resulting in mass deaths as 1 million people expected to attend. In what appears to pre-terror attack logistics, it was reported that 1,000 state troopers which are being deployed to assist in securing the Pope’s visit, and that National Guardsmen are being brought in to “assist with traffic control”. In all likelihood, the National Guard is being called in to rescue the score of people post-bridge collapse, as well as to restore order in the aftermath of the attack. Lastly, in a New York Post report from August 7, 2015, entitled “Pope to Use Lincoln’s Gettysburg Lectern in Philadelphia”, it was revealed that when Pope Francis speaks outside Philadelphia’s Independence Hall in Philadelphia, Pennsylvania, on September 26, 2015, he will stand at the same lectern (i.e., pulpit) that President Abraham Lincoln used to deliver the Gettysburg Address. Roughly 17-months after delivering his remarks, Lincoln was assassinated. Needless to say the use of Lincoln’s lectern by Pope Francis is designed to invoke an assassination of Pope Francis which may transpire in Philadelphia. Interestingly, the Pope’s appearance outside Independence Hall is expected to be a ticketed event. This was evidently instituted because a non-ticket holder will be implicated in the attack, likely via sniper. According to the “Official Schedule for Pope Francis U.S. Visit 2015”, Pope Francis will Pope Francis will hold a Papal meeting with Bishops at St. Charles Borromeo Seminary in Philadelphia, Pennsylvania on September 27, 2015. Consequently, Francis will be exposed and vulnerable to a state-sponsored terror attack, possibly via sniper. As evidenced, Truther.org has exposed numerous state-sponsored terror plots targeting churches in America. Consequently, a redux attack on Pope Francis while attending St. Patrick’s Cathedral may now be in order. In a Fox News report from August 31, 2015, entitled “Pope Francis’ Welcome at Seminary Will be Both Rowdy and Reverent”, it was revealed that the last time a pope visited the St. Charles Borromeo Seminary just outside Philadelphia, he got a “rousing, even rowdy, rock star welcome” and that we should “expect more of the same when Pope Francis arrives”. Translation: an assassination/terror event involving Pope Francis may be in play for his appearance at St. Charles Borromeo Seminary. Seminarians will reportedly greet Francis on the steps of the seminary on the morning of September 26, 2015. Consequently, the Pope will be vulnerable to an attack, possibly by a conservative Catholic who is upset with Francis’ liberal policies. According to the “Official Schedule for Pope Francis U.S. Visit 2015”, Pope Francis will Pope Francis will visit the Curran-Fromhold Correctional Facility (CFCF) in Philadelphia, Pennsylvania on September 27, 2015. Consequently, Francis will be exposed and vulnerable to a state-sponsored terror attack, most likely via so-called domestic terrorists. 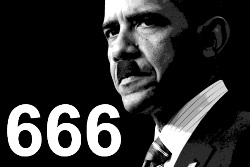 As depicted in the July 16, 2015, Truther.org report entitled “Attack on US Marines in Chattanooga, TN Result of Foiled Obama Terror Plot, Not ISIS”, a false-flag domestic terror attack was planned for Obama’s visit to El Reno Federal Prison located outside Oklahoma City, Oklahoma on July 16, 2015. In the aftermath of the foiled prison terror plot, at least 8 people were assassinated and 1 person incarcerated within a 24-hour period (i.e., 4 U.S. Marines assassinated in Chattanooga, Tennessee, 1 U.S. Navy service member killed in Chattanooga, Tennessee; 1 alleged ISIS member killed in Chattanooga, Tennessee; 1 prison guard killed in New Boston, Texas; 1 death row inmate executed in Huntsville, Texas); and 1 getaway driver charged St. Louis, Missouri. Consequently, a redux attack on Pope Francis when he visits the prison Philadelphia is expected. 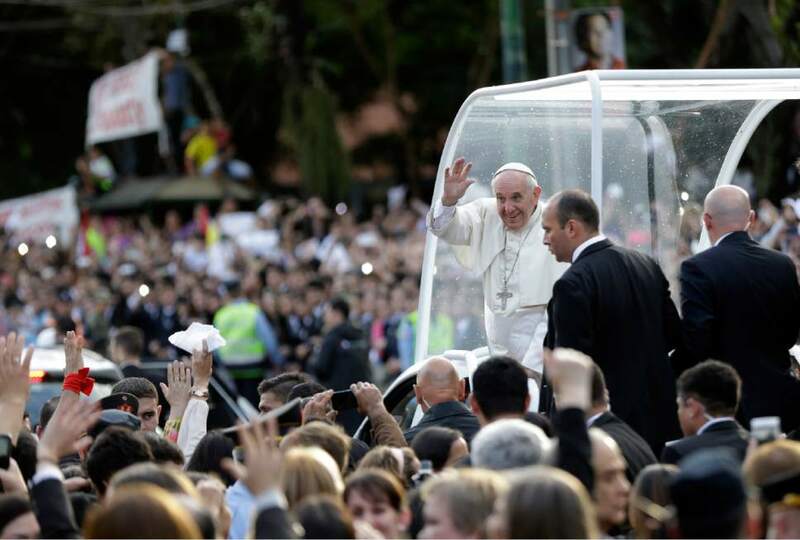 According to the “Official Schedule for Pope Francis U.S. Visit 2015”, Pope Francis will hold Mass at the World Meeting of Families at the Ben Franklin Parkway in Philadelphia, Pennsylvania on September 27, 2015. Consequently, Francis will be exposed and vulnerable to a state-sponsored terror attack, possibly via sniper or vehicular manslaughter attack. 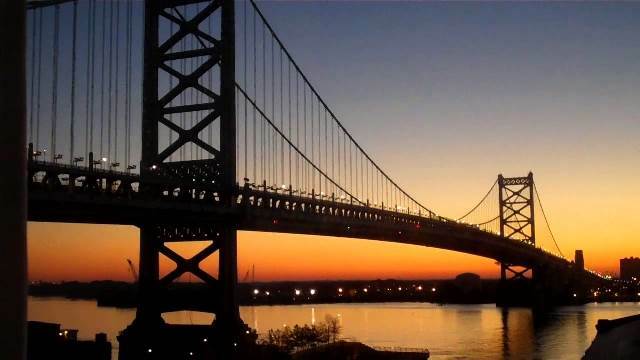 In an August 5, 2015, report from Fox News entitled “Major Philadelphia-New Jersey Bridge to Close for Pope Visit”, it was revealed that the Ben Franklin Parkway and the Benjamin Franklin Bridge, which crosses the Delaware River between Philadelphia, Pennsylvania, and Camden, New Jersey, will be shut down for Pope Francis’ visit to Philadelphia, Pennsylvania on September 25 through September 28, 2015. Considering that the Benjamin Franklin Parkway will be home to the Pope’s two big appearances in Philadelphia (i.e., the closing of the World Meeting of Families on September 26, 2015, and his celebration of Mass on September 27, 2015), the closure of the Ben Franklin Parkway and the Benjamin Franklin Bridge 48-hours prior on September 24, 2015, is highly suspect. Whether the premature closure of the bridge will provide the necessary cover for the installation of weapons and/or explosives on or near the Ben Franklin Bridge is not known, but it’s highly likely. Said explosives and/or weapons could be utilized during the Pope’s visit in a coordinated state-sponsored terror attack. Said terror attack will likely result in the demolition of the Benjamin Franklin Bridge due to well-places explosives, resulting in mass deaths as 1 million people expected to attend. In what appears to pre-terror attack logistics, it was reported that 1,000 state troopers which are being deployed to assist in securing the Pope’s visit, and that National Guardsmen are being brought in to “assist with traffic control”. In all likelihood, the National Guard is being called in to rescue the score of people post-bridge collapse, as well as to restore order in the aftermath of the attack. In a New York Post report from August 7, 2015, entitled “Pope to Use Lincoln’s Gettysburg Lectern in Philadelphia”, it was revealed that when Pope Francis speaks outside Philadelphia’s Independence Hall in Philadelphia, Pennsylvania, on September 26, 2015, he will stand at the same lectern (i.e., pulpit) that President Abraham Lincoln used to deliver the Gettysburg Address. Roughly 17-months after delivering his remarks, Lincoln was assassinated. Needless to say the use of Lincoln’s lectern by Pope Francis is designed to invoke an assassination of Pope Francis which may transpire in Philadelphia. Interestingly, the Pope’s appearance outside Independence Hall is expected to be a ticketed event. This was evidently instituted because a non-ticket holder will be implicated in the attack, likely via sniper. Lastly, in a Fox News report from August 13, 2015, entitled “Fenced Security Zones Going Up in Philadelphia Before Pope’s September Visit”, it was revealed that an inner perimeter fence will be erected around Independence Mall and that where people will be required to go through metal detectors. In the event of a stampede, score of people will be crushed against the perimeter fence. The U.S. Secret Service will also turn large swaths of downtown Philadelphia into vehicle-free security zones. Consequently, with all standing vehicles out of the way, Independence Hall and Independence Mall is now ready for a vehicular manslaughter attack. According to the “Official Schedule for Pope Francis U.S. Visit 2015”, Pope Francis will visit with organizers, volunteers and benefactors of the World Meeting of Families at Atlantic Aviation in Philadelphia, Pennsylvania on September 27, 2015. Consequently, Francis will be exposed and vulnerable to a state-sponsored terror attack, possibly via sniper or 9/11-style attack. As evidenced, Truther.org has exposed numerous state-sponsored terror plots targeting U.S. airports, including some in Pennsylvania. Consequently, a redux attack on Pope Francis while at the airport may now be in order. prior to a made-for-TV airport-related terror attack on Francis. According to the “Official Schedule for Pope Francis U.S. Visit 2015”, Pope Francis will depart for Rome, Italy from Philadelphia International Airport in Philadelphia, Pennsylvania on September 27, 2015. Consequently, Francis will be exposed and vulnerable to a state-sponsored terror attack, possibly via sniper. As evidenced, Truther.org has exposed numerous state-sponsored terror plots targeting U.S. airports, including some in Pennsylvania. Consequently, a redux attack on Pope Francis while at the airport may now be in order.